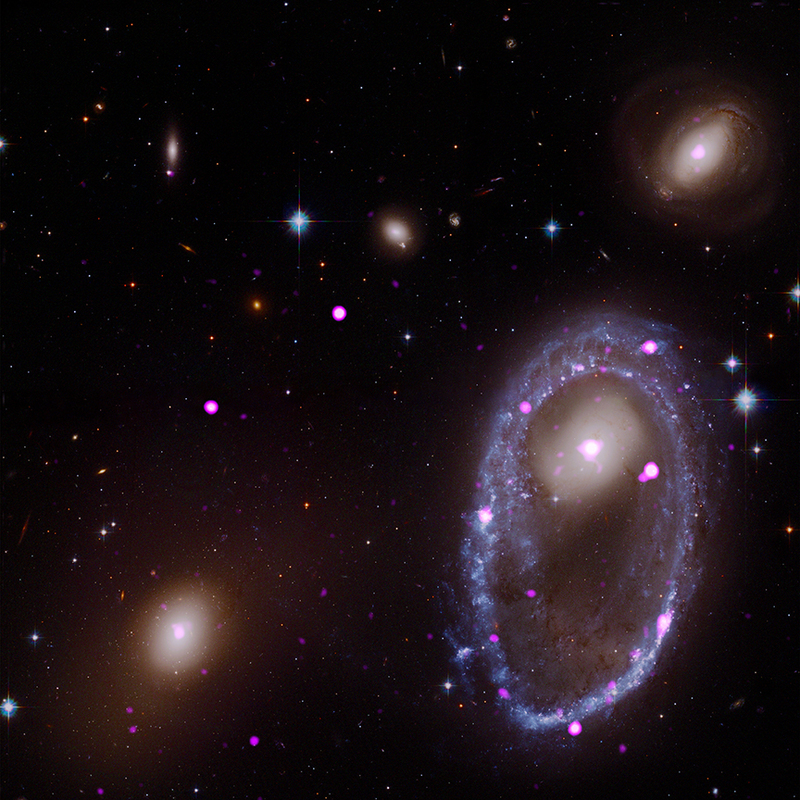 A new image captures what happens when one galaxy punches through another. AM 0644-741 is a so-called ring galaxy located about 300 million light years from Earth. 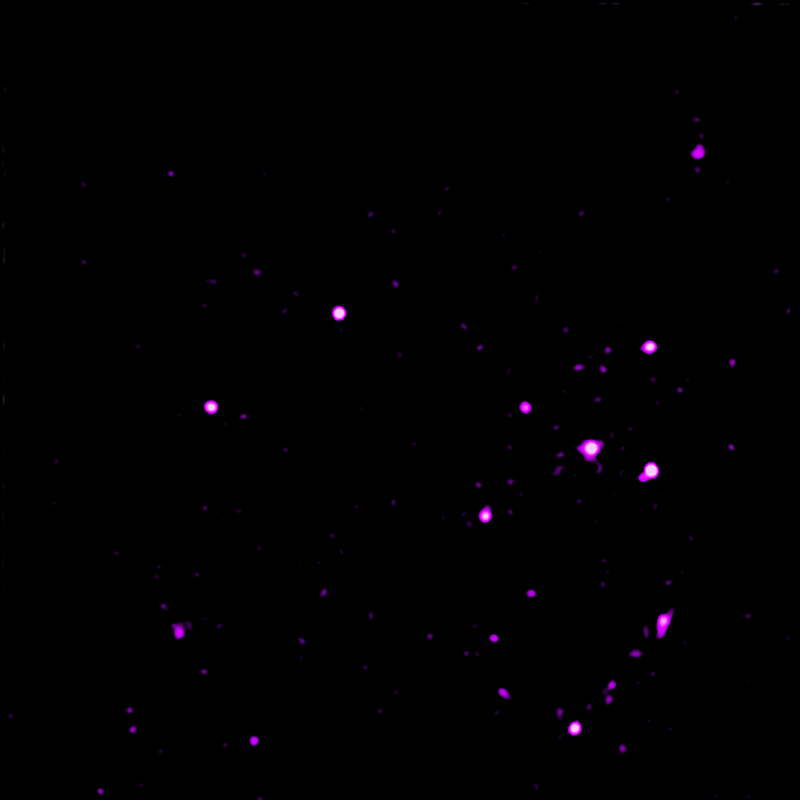 Chandra data reveal a ring of bright X-ray sources encircling the galaxy, which are thought to contain either black holes or neutron stars. The creation of these compact dense objects was set in motion by ripples in the interstellar gas produced during a galactic collision. A ring galaxy which likely formed when one galaxy smashed into another. About 300 million light years from Earth. About 280,000 light years across.